Wham - Best Of Wham! Even before you went ahead to read this article, I know the song’s chorus has played in your mind. Or it is still playing. Very many people know the song and it is one of the most famous songs done by Wham. 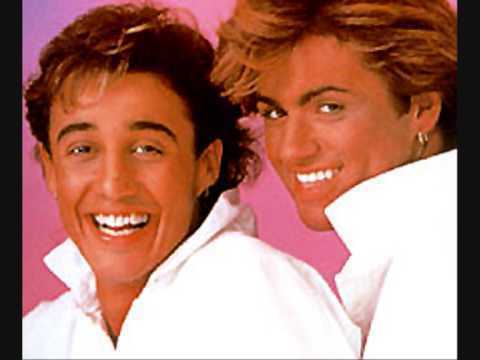 The duo wham did the song and it was first released as a single in the UK on May 14, 1984. 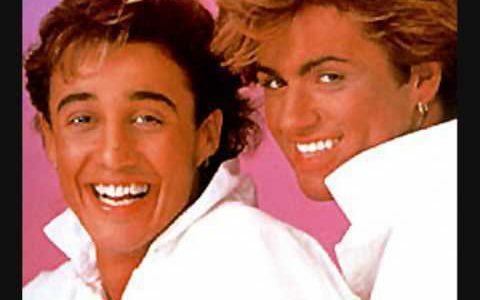 “Wake Me Up Before You Go-Go” became Wham’s first US and UK number one hit. The track was written and produced by George Michael.Until today, it is one of the best classic songs and you have to agree that every time it is played, at least one person has to sing along. The inspiration for the song was a scribbled note left by his Wham partner Andrew Ridgeley for his parents. This note was initially intended to read “wake me up before you go” but accidentally “up” was written twice. This made Ridgeley write “go” twice on purpose. The song was released in 1984 May, and it was the beginning of a sunnier and softer image for the duo who had spent the better part of the previous year as a more politically themed duo with songs about employment, battles of will between parents and their children and unemployment. After the release of the song, the duo re-emerged with more colorful clothing, wider smiles and more positive dispositions in interviews. George said in 1984 that he only wanted to make an energetic pop record that included all the best features of the fifties and sixties records combined with their approach and attitude. When they were rehearsing, the drummer was late, and they were forced to use a Linn drum and it was such an awesome track. According to George, it was the one track that reminded him of all the different records he couldn’t nail. The track entered UK Singles Chart at number four and after a lot of hype, the duo claimed they would go straight to the top spot which was very rare, but after seven days, it climbed to the top spot staying there for two weeks. In the US, the song went to the top of the Billboard Hot 100 where it held the top spot for three weeks. The song video has 173 million views currently and still going strong. The song’s title only had the version of this song ringing in my head. This is one of the most popular songs done by Wham the music duo. The song “Wake Me Up Before You Go Go” was first released as a single in the UK in May 1984. This was the duo’s first US and UK number one hit. The song was written and produced by George Michael and it was the first of their singles to be certified platinum in the US. At this time, a single going platinum must have sold over two million copies.The song was voted by British public as the nation’s 13th favorite 1980’s number one in 2015. Every time the song plays, there has to be a person singing along in the chorus. The song was ranked number 28 on VH1’s 100 Greatest Songs of the 1980’s. The song is interesting and the inspiration for the song is fantastic too. It was inspired by a note scribbled by Andrew Ridgeley for his parents. The note was originally intended to read “wake me up before you go” but accidentally, the word “up” was written twice. This made Ridgeley write “go” twice on purpose on the song. The song released in May 1984 was the beginning of a softer and sunnier image for Wham who had spent the better part of the previous years doing politically themed songs about unemployment, battles of will between parents and employment. The due re-emerged with wider smiles, more colorful clothes and positive dispositions in interviews after the release of the song. The song entered the UK Singles Chart being numberfour and the duo claimed the song would go up to the top after a lot of hype. This was rare but after seven days, the song made it to the top and it stayed there for two weeks. The song has more than 172 million views which is commendable for a song of the 80’s.